Remove green tops from leeks.Trim white ends. Cut remaining white section of leeks into 1”-½” rounds. Place in a colander. Rinse in cold water. Rinse fingerling potatoes in cool water and slice lengthwise. 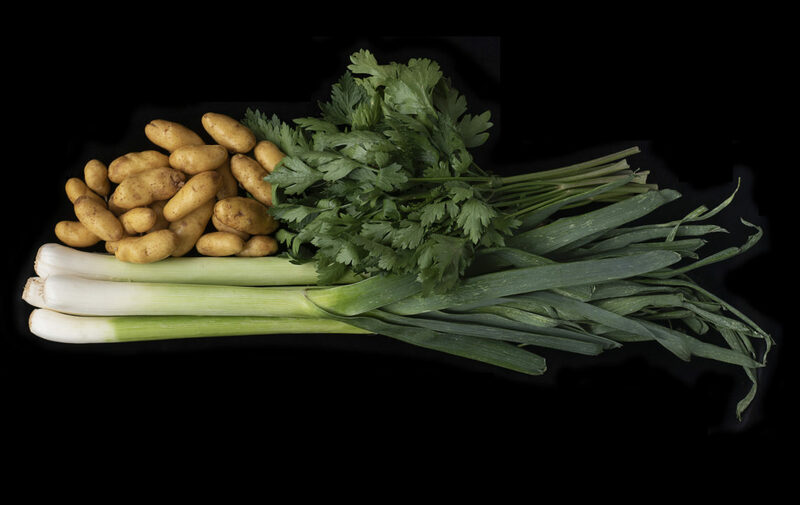 Place sliced potatoes and leeks into a medium sized bowl.Add olive oil and salt and pepper to taste and toss to coat leeks and potatoes. 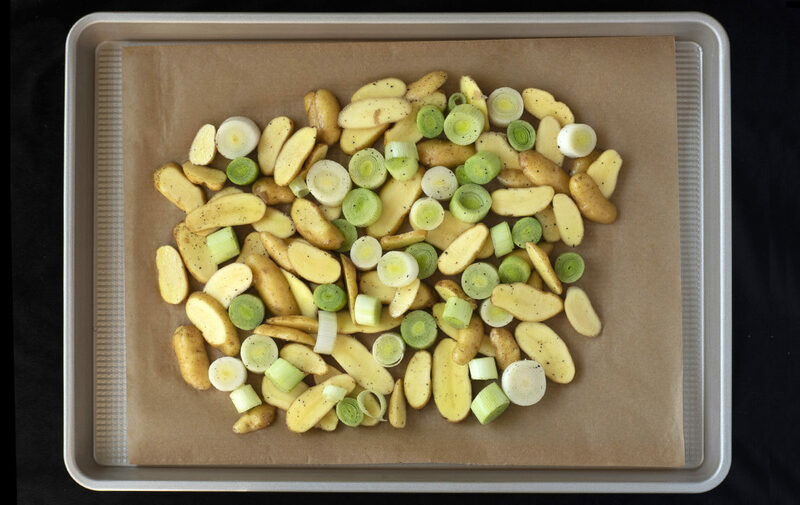 On a large sheet tray lined with parchment or foil, spread out mixture of leeks and potatoes. allowing plenty of space. Put in oven for 20-30 minutes or until golden brown. Midway through roasting, be sure to toss your vegetables around the pan so they brown on both sides. Remove from oven and place in a medium bowl. Add chopped parsley and enjoy. 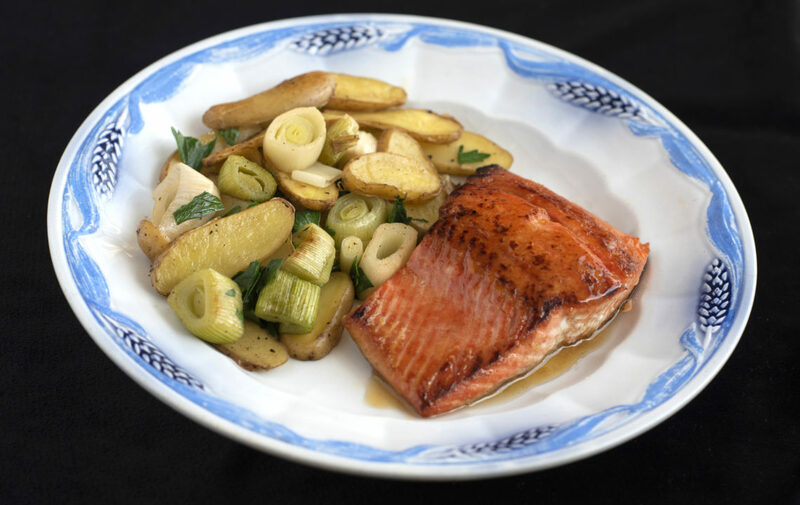 Oilo Olive Oils & Balsamics top-selling lemon in white balsamic for the salmon glaze. OXO non-stick pro baking sheet is available at Zest!